It seems like Spring is slowly creeping upon us – finally! At the store we have new stock of summer yarns, including a few new ones I am itching to knit with like Quince Kestrel (a linen ribbon yarn) and Shibui Twig (a mix of recycled silk, linen and a bit of wool with a cool texture). I just have to find the right patterns. 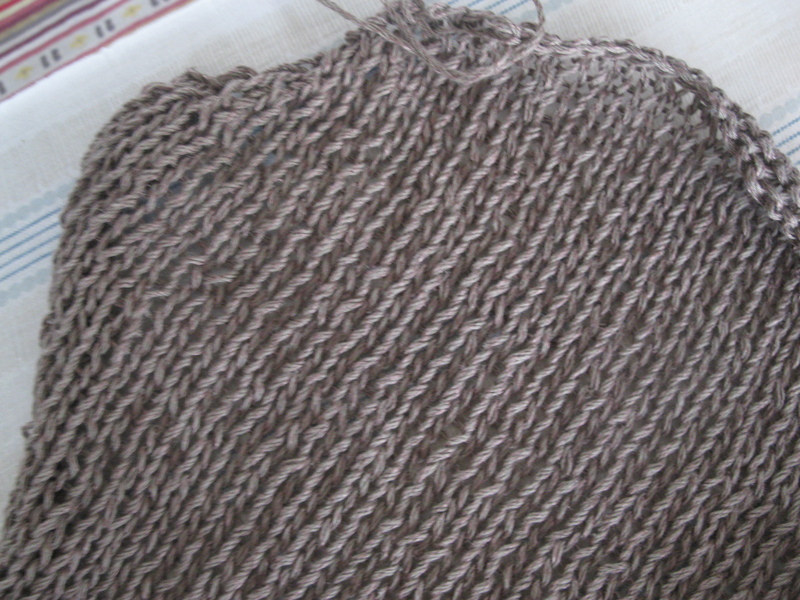 What I am working on right now is a store sample worked in Drops Bomull Lin, a cotton linen mix in a worsted weight. This particular Drops pattern asks to knit the yarn quite loosely – as often with summer sweaters – and this in return opens up a whole box of questions about finishing. I get them quite often at the store. Most of the times I am able to give you tips, other times I am not sure because it is quite tricky to advise something I haven’t done myself. So here is another part of *What Would Mona Do. First of all, when knitting summer yarns loosely, do not freak out about how uneven the knitting looks. Mine does too. Sometimes more so, sometimes less, usually not very pretty. 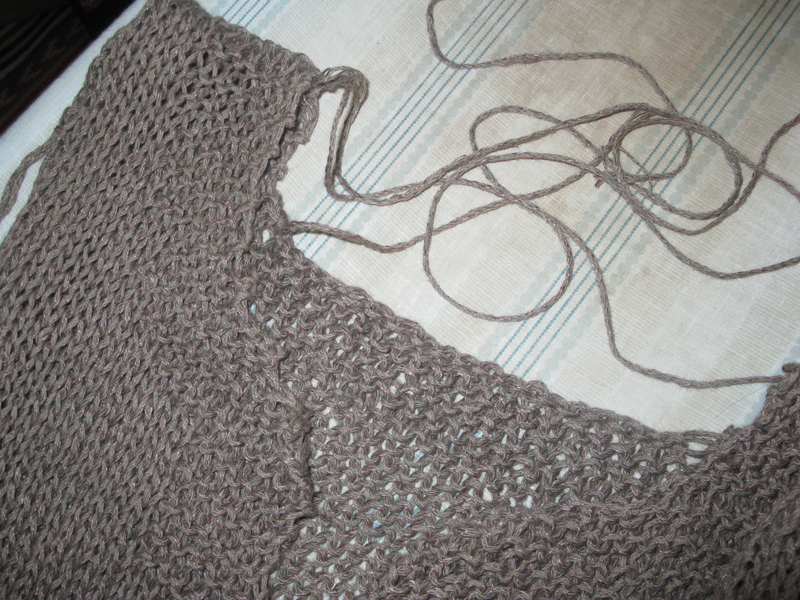 Now, this particular sweater is knit in pieces that need to be seamed. Not so pretty either with all these ends hanging about. There is a good reason for it, though. In this case I have decided I am going to seam the sweater first and then ‘hide’ the ends in the seams, this way they won’t show. 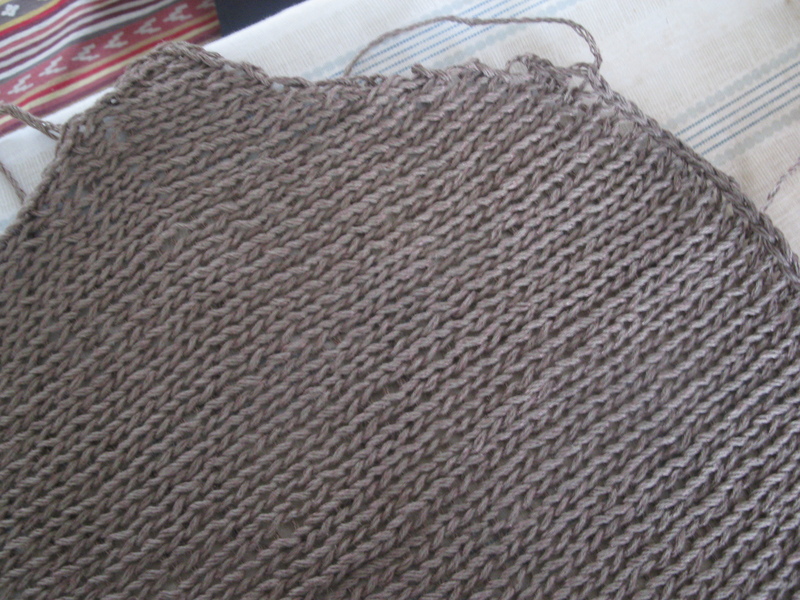 I could have woven the ends into the edge first, however that would make seaming a bit more difficult – so, seam first, weave after. I might have mentioned it before, but here I go again: If you put a bit of thought into what comes after the knitting (finishing!) then you might be able to prepare that during knitting. It makes things usually easier and less daunting. That is my morsel of WWMD for today. Quince & Co. Sparrow: New colours now in stock!